Get ready, hip-hop fans, its Chance The Rapper at Oracle Arena on Wednesday 26th April 2017! There are still tickets left, but don't delay in getting yours – we fully expect this show to sell out! Chancelor Bennett, best known by his stage name Chance The Rapper, was born in Illinois, Chicago, and started dabbling in rap and hip-hop from a very early age, forming his first hip-hop group whilst still in high school. Something of a rebellious teen, it was during a ten day suspension from school that he recorded his first mixtape, cheekily entitled; “10 Days,” and his first song “Windows”. A year later, he finally released the album in 2013, to very positive reviews from local media. Made available to download via Datpiff, it was downloaded over 250,000, marking the first step in what would go on to be an incredible musical career for Chancelor Bennett. His second mixtape, “Acid Rap,” was downloaded 800,000 times, receiving platinum certification and blasting Chance into the eye of the global public!! Featuring on several Top 50 album lists in 2013, Chance followed the release with his first US tour, of which the public demanded many, many more! And its no wonder – live, Chance The Rapper’s performance is unlike anything you’ve ever seen before!! His energy and connection with the audience is immense, and his stage presence absolutely impossible to ignore!! 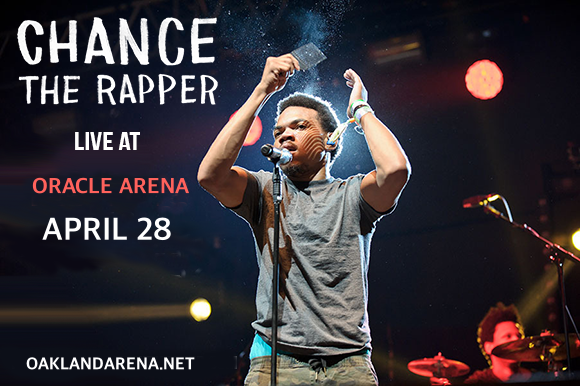 Don’t miss out on the opportunity to be part of it – book your tickets to see Chance The Rapper TODAY!! !